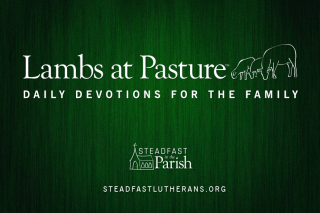 This is part ten of a series of twelve newsletter articles written by Rev. Neil L. Carlson for the 500th anniversary of the Reformation. Rev. Carlson is pastor of Trinity Lutheran Church and Zion Lutheran Church in Sidney and Chappell, Nebraska. 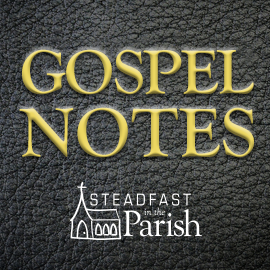 Previously, in part one, the theology behind those hiding in the Lutheran Church was discussed—the two primary issues being the communication of attributes in the two natures of Christ and the implications this had on views of the Lord’s Supper. As the denial of Christ’s presence in the bread and wine spread, so did resentment for this teaching among Genesio-Lutherans. Through the debates which followed, the Crypto-Calvinists were brought to light and were no longer able to hide in the Lutheran Church. On one extreme, Saliger and Fredeland (extremists, against the Sacramentarians) “taught that in virtue of the consecration before the use bread and wine are the body and blood of Christ, denouncing all who denied this as Sacramentarians.” Sacramentarian is a “term applied by M. Luther to H. Zwingli,* J. Oecolampadius, and others (cf. St. L. ed., XVII, 2176) who held that in Communion bread and wine are Christ’s body and blood only in a ‘sacramental’ (i. e., metaphorical) sense”. These Lutherans deemed that the bread and wine became the true body and blood of Christ during or at the consecration. Other Lutherans held that one can’t determine the exact time when the bread and wine become the body and blood of Christ, but state the when the Word of God is applied to the elements it becomes a sacrament. 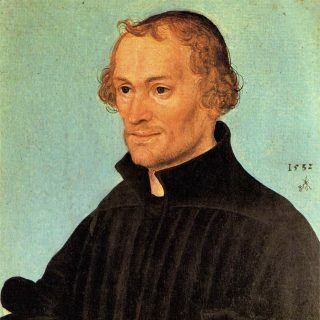 Some Lutherans believed, based on the teaching of Melanchthon and Hesshusius, “it is the communion, i.e., that by which the union occurs (consociatio fit) with the body of Christ, which occurs in the use, and certainly not without thinking, as when mice gnaw the bread.” This teaching would later be known as “receptionism,” the idea that it becomes the body and blood of Christ only upon use. Though not long ago this was a prominent teaching in the LCMS, it seems to go against the definition given by St. Augustine of a Sacrament. The explanation of Luther’s Small Catechism puts it this way, “A sacrament is a sacred act in which God Himself has joined His Word of promise to a visible element.” This definition leaves no room for our reception of the bread and wine making it a sacrament but stresses God’s Word being added to the element to make a sacrament, which would lean closer to the consecrationist views of Saliger and Fredeland. The Crypto-Calvinists refused to call the bread and wine the body and blood of Christ—at all—and thus resorted to name-calling, labeling any who did say it was Christ’s true body and blood as “bread-worshipers.” Bente claims that Melanchthon was looked to for resolution of this dispute, but refused to comment and “preserved sphinxlike silence.” The reader may have learned throughout these essays that Bente takes a rather harsh bias against Melanchthon, but he cites Calvin as having claimed Melanchthon as his ally in this matter, so Bente might not be wrong in his view of Melanchthon. What is most important for the reader to know is that failure to speak against is to speak in favor. If the Lutherans failed to condemn the Crypto-Calvinists’ teaching, by omission, then, they would place their stamp of approval on the teaching. This was not the case, however, when Joachim Westphal spoke openly and loudly about the issue. Others followed Westphal and the Crypto-Calvinist controversy grew into one of the larger issues during the infancy of the Lutheran Church. As confusion on the Sacrament of the Altar grew, so did the outspokenness of Crypto-Calvinists. Calvin declared, “I teach that Christ, though absent according to His body, is nevertheless not only present with us according to His divine power, but also makes His flesh vivifying for us.” John Brenz and Martin Chemnitz, in response to this teaching, confessed that “the body and blood of Christ are orally received by all who partake of the Sacrament, and that Christ, by reason of the personal union, is omnipresent also according to His human nature, and hence well able to fulfill the promise He gave at the institution of the Holy Supper. It teaches real presence, the sacramental union, the oral eating and drinking.” A litmus test for one’s beliefs on The Supper became “oral eating.” The Crypto-Calvinists reject oral eating of Christ’s body and blood where Lutherans do not. This simple point cleared up any confusion of one’s beliefs about the Lord’s Supper, even if the same language is used. Even today the question of oral eating is useful when examining those who desire to receive the Lord’s Supper. It will separate those who believe in Christ’s real presence from the Crypto-Calvinists of today, or those who simply do not understand the practice of closed communion. This controversy, though centered on the person of Christ and His presence in the Lord’s Supper, should raise awareness that all forms of crypto-believers exist in churches today. The phrase commonly used now is “Lutherans In Name Only” or “LINO.” These people are Crypto-Calvinists, Crypto-Baptists, Crypto-Methodists, or just about any other denomination (besides Lutheran) one can think of. These Cryptos exist in the Lutheran Church for different reasons than at the time of The Reformation, but the result is still the same: teachers entering Lutheran churches and then teaching another denomination’s doctrine, parishioners joining a church because the building is close to home, married a Lutheran, or some other external rationale, but never truly believing what the Lutheran Church confesses. This becomes a poison within the body and spreads until there is no Lutheran doctrine left in the Lutheran Church. Thanks be to God He has given us the antidote. He has given us His pure word in the Scriptures, which teach the true faith. To ensure the confession of the Lutheran Church stays Lutheran, she has the Book of Concord. It explains the doctrines of the Bible in a clear manner which prevents Cryptos from muddying the language and stealthily bringing in false teaching. We have as great a need as ever for a clear confession of the truth. May we study the Scriptures and Lutheran Confessions with zeal such that we always confess the true faith and never let it be sullied by false teaching hiding within our walls. F. Bente. Historical Introductions to the Lutheran Confessions; CPH, 2005, 417. Luther’s Small Catechism with Explanation. CPH, 2008, 202. This should be sent out to every Lutheran church and every Lutheran for annual reading on Reformation Sunday. But how many cryptos would read it? And how many of those would care? Enthusiastically empower edgy worship plans.